We offer you quality airport transfers, contracts for business travel, corporate travel and provide complete tour and event packages for single or multiple locations. Meet and Greet service at the airport in one of our chauffeur-driven cars or arrange a stylish departure from any one of the many UK airports. Find out more about our Aiport Transfers..
Travel in executive to an event and really enjoy the whole experience. Just let us know your transport requirements and we will do our best to accommodate you..
Find out more about Chauffeurs for Events..
With our unique and professional executive chauffeur services, your business will definitely benefit from the proficient and timely services that are normally render by our expertise and licensed chauffeurs. This is possible because we offer nothing less than a seamless service for you and the growth of your business. With a spacious boot to accommodate your luggage, you will never have to pack lightly. Our cars are serviced every 20,000 miles, and the Mercedes brand ensures reliablity. 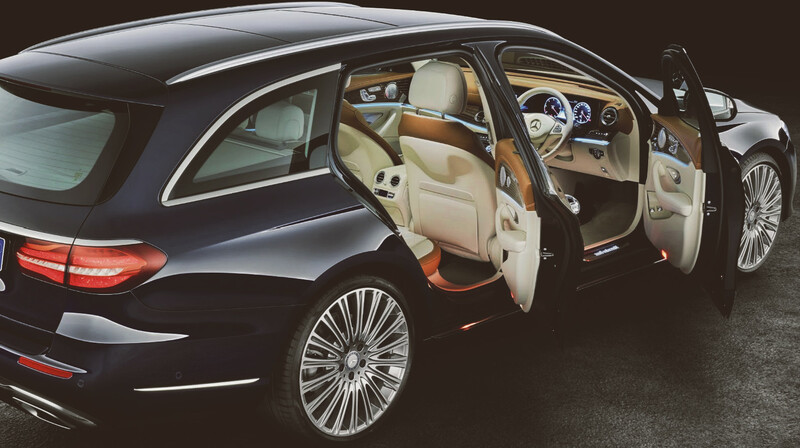 The spacious leather interior allows you to stretch out in comfort on heated seats for the duration of your trip. Connect to our in-car MiFi modem to access your emails and the web. Whether it is business or leisure Abbey Executive Cars - Harrogate Airport Transfers can ensure it’s an easy experience. We will check and confirm the arrival time of your flight and our experienced drivers will meet you in arrivals and assist you with your luggage before taking you off in comfort to your required destination.